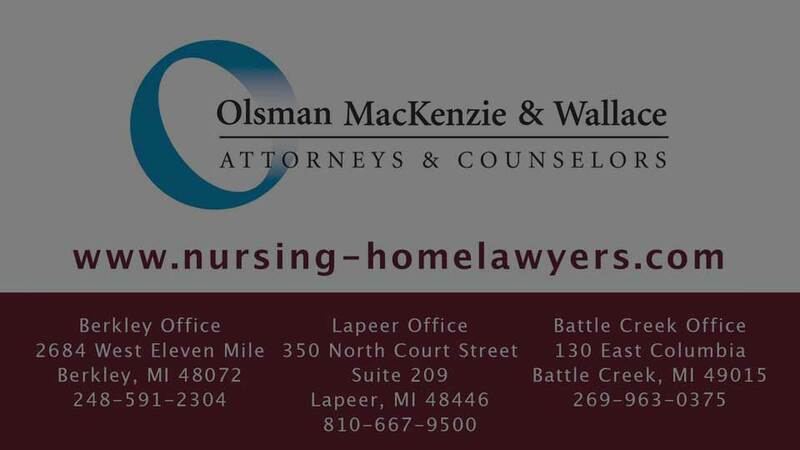 What Happens When You're Referred to Olsman MacKenzie & Wallace? We are proud of the fact that our business is built upon trusted referrals from other lawyers because of our experience, knowledge and reputation. In fact, approximately 90% of the clients that we meet are referred to us by other lawyers. For example, a lawyer may have a client who has been injured in a nursing home, assisted living facility or adult foster care home, but this area of law is not their area of expertise. As a result, that lawyer will refer the client to our office to look into the matter. All clients are contacted by our office on the same business day as the referral and arrangements are made for the client to speak with Mary Malone, who is both a lawyer and a nurse. In fact, our nursing home litigation team is a made up of one nurse attorney, three additional attorneys and two additional nurses. After the pre-investigation is conducted, our team determines whether we believe we can successfully pursue a case for the client. The client and referring attorney are notified of these decisions throughout the process.